The deal to sell Gulf Oil will essentially split Cumberland Farms’ retail and wholesale fuel distribution business. Cumberland Farms is selling its Gulf Oil wholesale fuel distribution business to a Boston private equity firm for more than $800 million, a person involved with the deal said. The buyer is ArcLight Capital Partners, which specializes in energy businesses and has invested $13 billion in companies since its inception in 2001. ArcLight has retained Joe Petrowski, the former chief executive of Gulf and a longtime energy industry veteran, to help with the business. Cumberland Farms said it does not comment on “ongoing strategic and operating matters.” But the person involved in the deal said Cumberland Farms is selling the petroleum business to concentrate on upgrading its convenience stores, which total nearly 600 outlets in eight states. Founded in 1901, Gulf was one of the nation’s leading oil and gas companies. Finding itself a target of corporate raider T. Boone Pickens, Gulf in 1984 agreed to sell itself to Standard Oil of California for $13.3 billion, at the time the largest merger in US corporate history. The newly combined company was renamed Chevron, which in 1986 sold the Gulf Oil naming rights to Cumberland Farms. The Framingham company then acquired the petroleum business outright a decade ago and hired Petrowski to run that business. Petrowski left Cumberland in 2013 and founded Mercantor Partners, an energy investment company. He has partnered with ArcLight Capital in a number of other investments. The deal will essentially split Cumberland’s retail and fuel business, which was owned by the Haseotes family and known as the Cumberland Gulf Group. In addition to convenience stores, the company supplied fuel to more than 3,500 gas stations. About 2,500 of the stations, most of which are owned by franchisees, are operated under the Gulf brand. 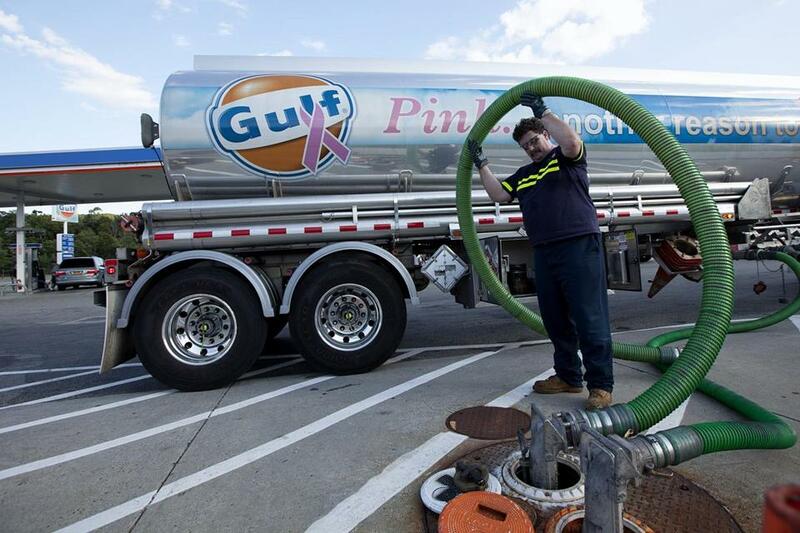 The source said ArcLight Capital will distribute gasoline and take over Gulf’s 12 fuel terminals in Pennsylvania, New Jersey, Connecticut, Massachusetts, and Maine. Cumberland Farms will continue to run the retail business. It will also retain ownership of the gas stations that are connected to the convenience stores, acting as a Gulf franchisee. The deal, which is expected to close this summer, was previously reported by Convenience Store News.